A Platter of Thoughts, Beer! !, Food! !, Wine!! 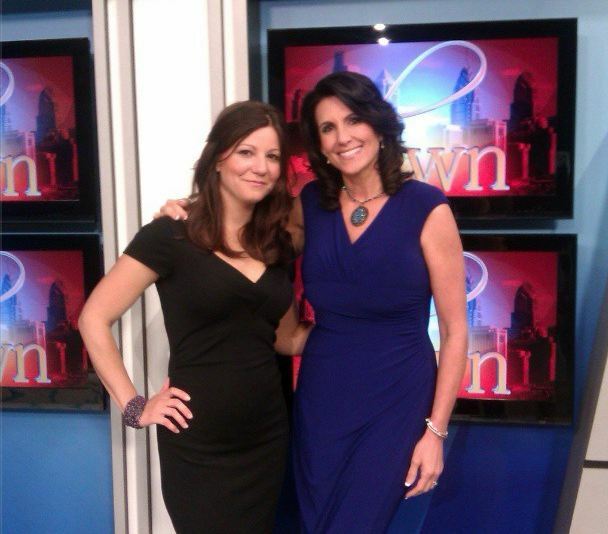 Last week I had the pleasure of being on Dawn Stensland-Mente’s “The Dawn Show”. It was such a great time. I had 3 of my dishes presented: a Pesto appetizer, Salmon with a Island Salad, and a Trifle. The beer was provided by Yards Brewery and Wine provided by Turdo Vineyards. Here are the clips to the show and the recipes are posted below as well. Place the basil, garlic, and pine nuts in a food processor and pulse until coarsely chopped. Add 1/2 cup of the oil and process until smooth. Mix in the cheese and season with salt and pepper to taste. If you are you using right away, add all the rest of the oil and pulse until smooth. Transfer the pesto to a large serving bowl. If you would like to save it, transfer into an air tight container and drizzle the remaining oil on top. You can freeze up to 3 months. For serving, spread pesto on crostini, then add a slice of mozzarella and slice of tomato atop that. For an extra flavor, add a small sliver of prosciutto in your layering. Season Salmon with Salt, Pepper, Garlic Powder, Lemon Zest and Lemon Juice, set aside. In a medium bowl place the washed micro greens, cilantro and diced fruit. Season with salt, pepper and 1 Tablespoon of olive oil. Place to the side. In a large skillet on medium to high heat, drizzle some olive oil and butter. Place the salmon face down if it still has the skin. Cook for about 5 minutes on each side until you get a golden color. Place salad and salmon on dish, drizzle some glazed balsamic vinegar, top with feta if you would like. In a clear serving bowl place a layer of sliced Angel food cake top with nutella, strawberries, Mascarpone mix and hazelnuts. Repeat layers until it is finished off with Strawberries.